It’s finally Christmas morning! Santa is officially off duty! Your kids are dancing all around the Christmas tree waiting impatiently to open presents. After opening presents, your kids are going to start getting hungry, and thoughts of sugar plums are probably not going to be enough to sustain them. So, what’s for breakfast? 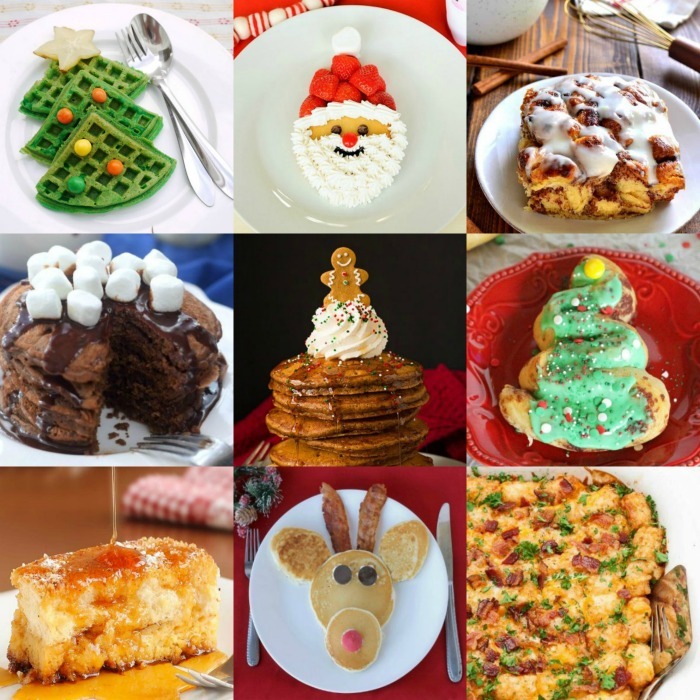 Here are some of the best Christmas breakfast recipes out there! There is something so special about gathering around the table Christmas morning with your family. Whether you serve a huge brunch, a simple breakfast or invite a crowd, it’s the memories around the table that count. Don’t let the craziness of the season stress you out steal your joy! Keep Christmas morning simple with these yummy breakfast ideas. There is something for everyone! We have fun ideas like Santa Toast and Reindeer Pancakes. 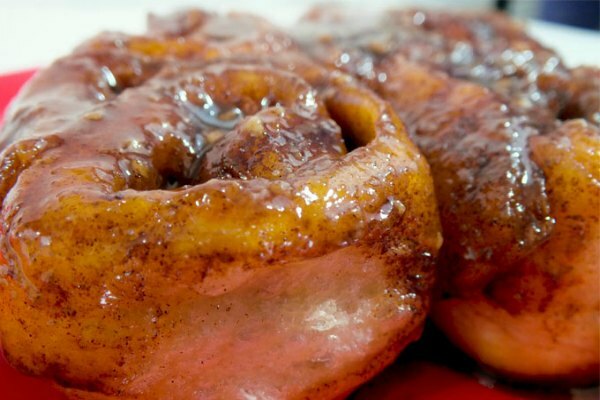 There are crock pot recipes to make cinnamon rolls super easy. I like the overnight french toast because I can do everything the night before! Whatever your plans are, there is a recipe here to suit! 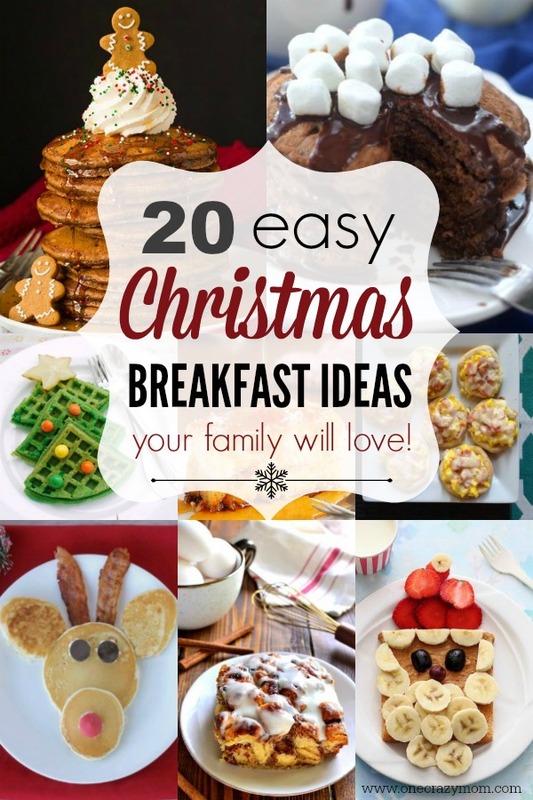 Let’s get started with these 20 Holiday Breakfast Ideas! 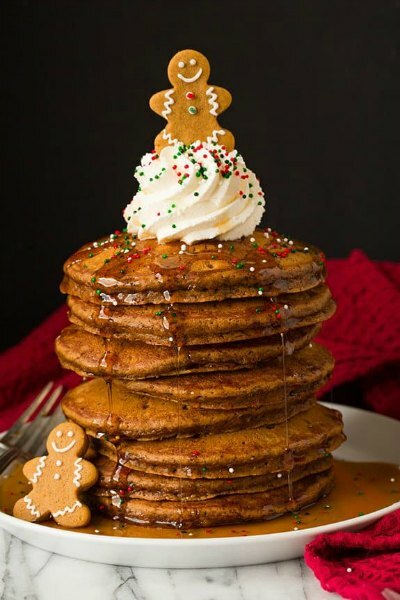 If you like Gingerbread cookies, give these pancakes a try. They are so festive and kids will love the gingerbread man on top! 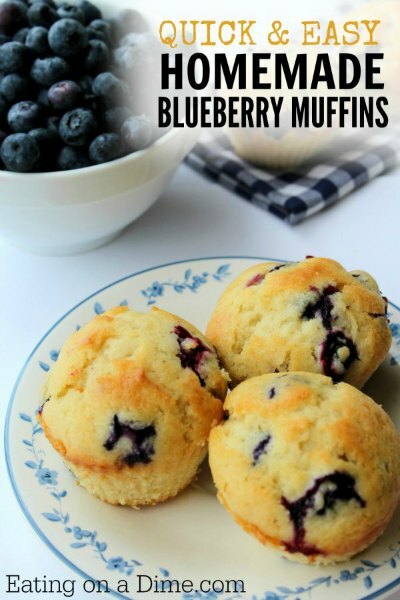 Everyone loves blueberry muffins and this recipe does not disappoint. It’s simple and packed with flavor. These muffins are moist and delicious! These cinnamon rolls taste like you made them from scratch but are much quicker. No one will guess the secret is frozen dough. 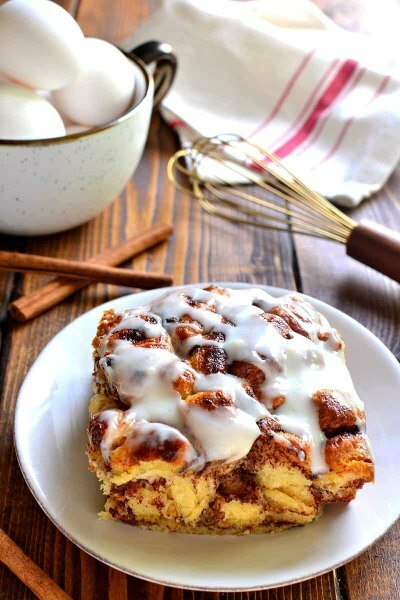 Breakfast is so simple with this overnight french toast bake! You literally will not have to do anything but bake it in the morning. Kid’s will love the generous dusting of powdered sugar on top. This one dish meal is packed with eggs, bacon, cheese and more. So hearty and good! No need for the oven with this tasty meal! 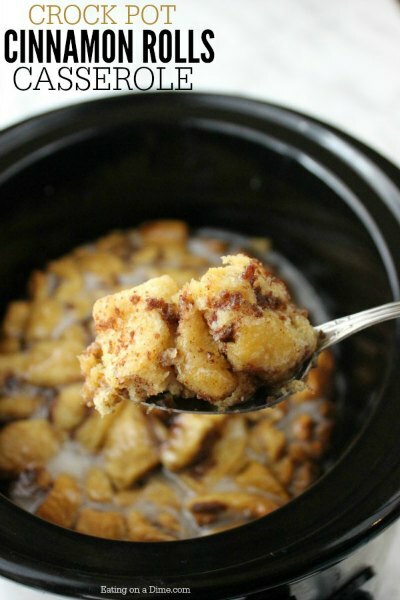 Make cinnamon rolls in your crock pot and have them ready on Christmas morning. Plus, the entire house will smell amazing. 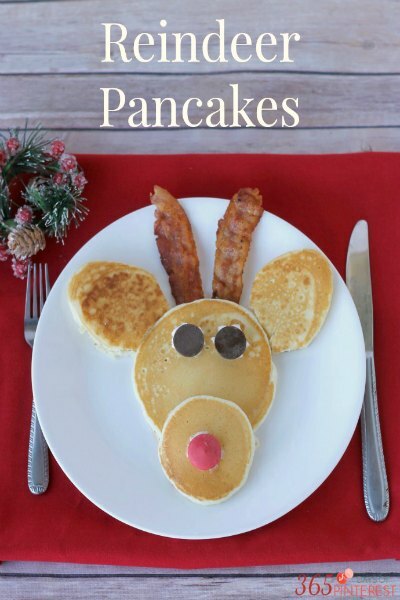 Different sizes pancakes and bacon “antlers” make the cutest reindeer ever! This will be a hit and a new tradition. 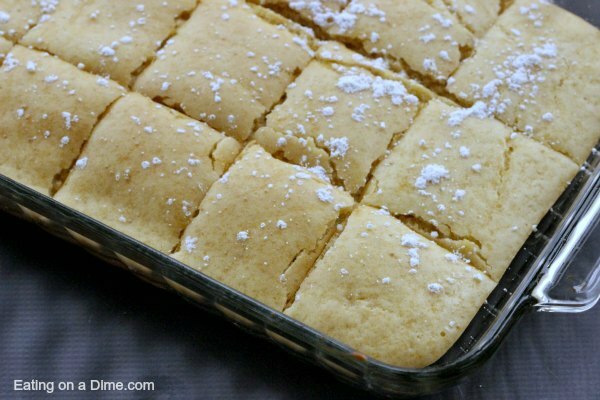 This dish can be made the night before so all you have to do is bake it the next morning. This is perfect for Christmas morning! 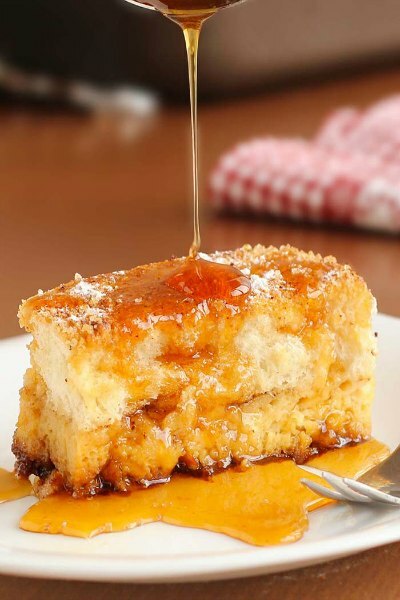 This french toast bake is so decadent and the extra syrup on top just is amazing. 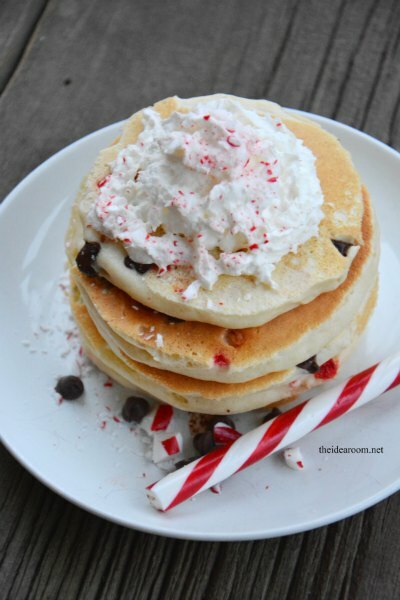 Make pancakes festive with peppermint and chocolate chips. Yum! 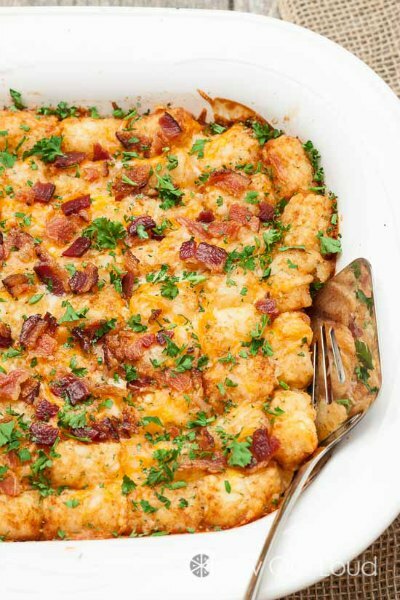 This casserole has everything you need in one dish! 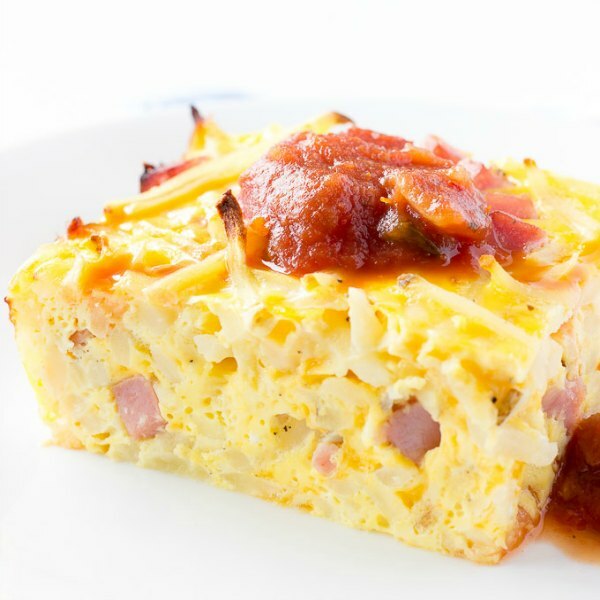 Hash browns, eggs, cheese and ham. Yum! 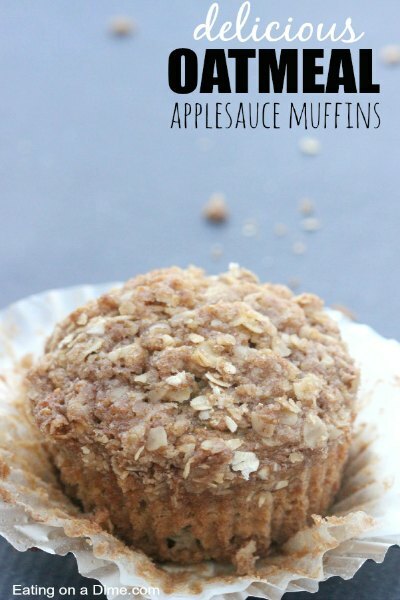 You will not believe how moist and delicious these oatmeal muffins are. The secret is the applesauce. Kid’s love these. 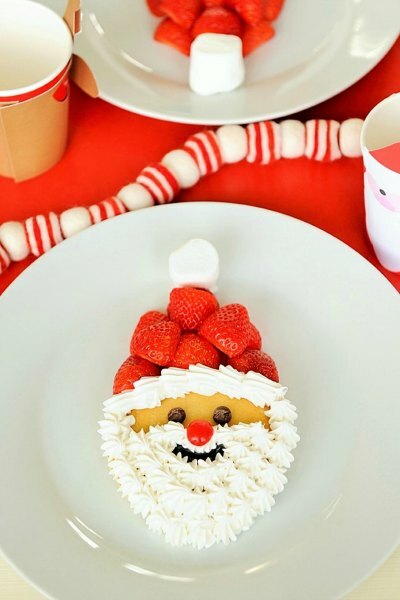 Make a Santa breakfast with pancakes, strawberries, whipped topping and more. You can even let the kids help decorate these. 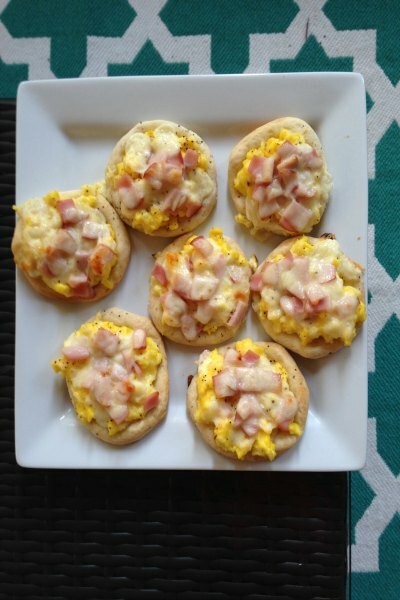 Individual breakfast pizza’s are made really simple with canned biscuits. Top with your favorite breakfast toppings and you are set! Breakfast can be stressful but this recipe makes it so simple. No more standing over the griddle making pancakes. Just bake them! These are so tasty. 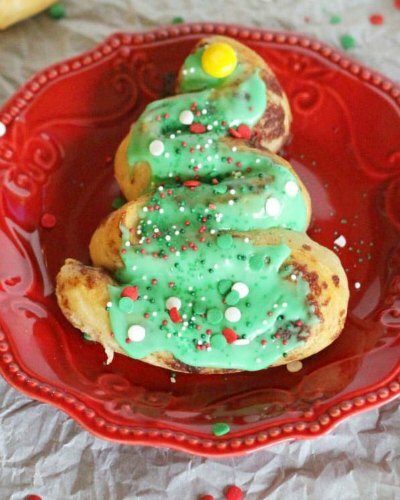 Turn store bought cinnamon rolls into Christmas trees! Just a little drizzle of green icing and you have a gorgeous Christmas tree for breakfast. 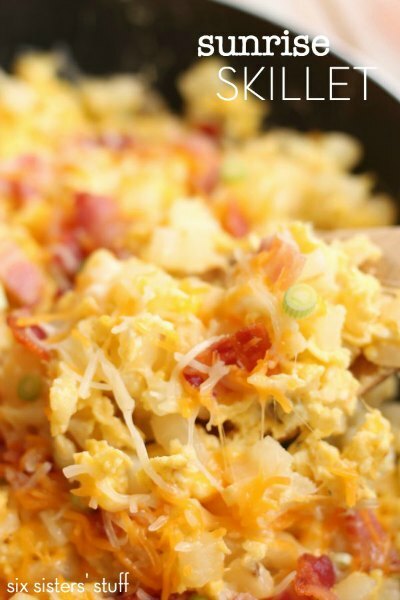 This tater tote casserole is piled high with breakfast toppings and baked with lots of cheesy goodness! 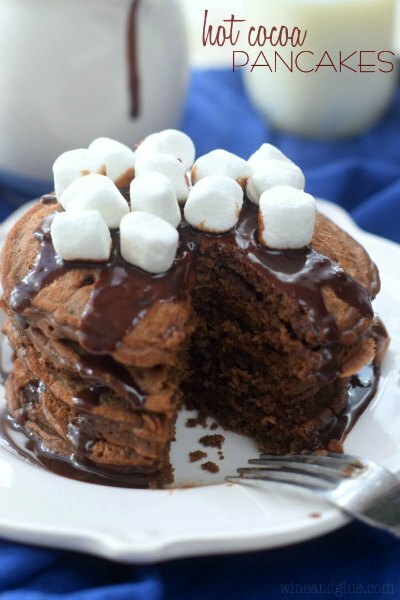 Pancakes packed with chocolate and topped with marshmallows make amazing hot cocoa pancakes! These are rich and decadent. 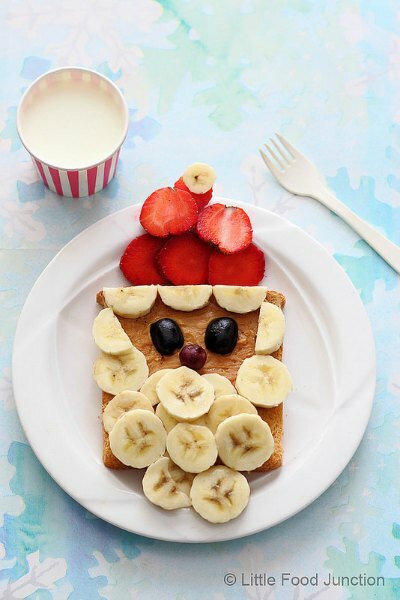 Whole wheat toast topped with peanut butter and fruit come together to make Santa Toast! So fun! 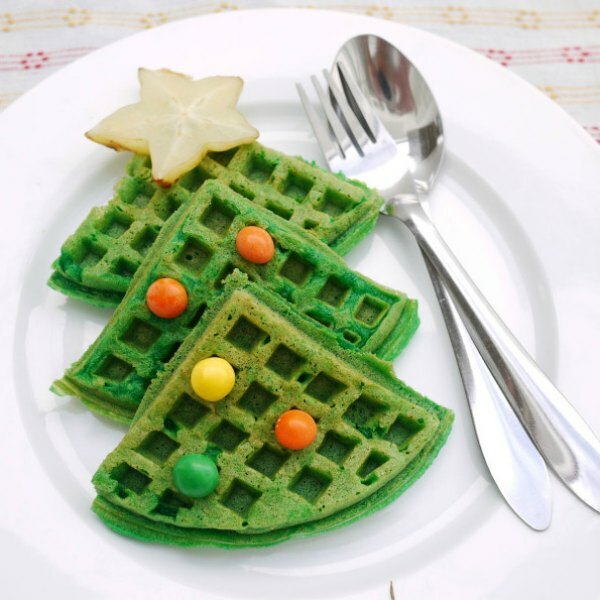 Waffles get a festive twist with green food coloring and candy “ornaments”. This waffle tree is so clever. 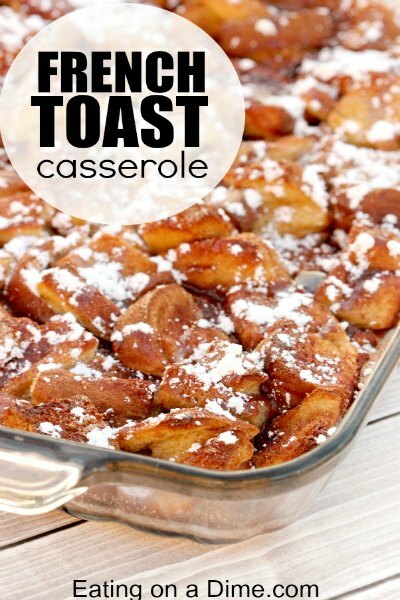 This casserole looks like homemade but it starts with 2 rolls of refrigerated cinnamon rolls. The extra icing on top just makes this recipe even better! We love Christmas Breakfast recipes around here! For an extra treat, we like to make Grinch Punch to drink! Kid’s love this and adults do as well. Just remember, it’s about the memories you make Christmas morning and not about everything being perfect! Let us know which holiday breakfast recipes you try! Looking to get the kids involved in helping others? We have a huge list of Samaritan’s Purse Operation Christmas Child Gift Ideas.